Building on the success of the first annual Winter’s Eve of Revelry in December 2016, Carpe Diem Arts and St. Michaels Community Center join forces again to present the first annual Summer Solstice Concert at St. Michaels Auditorium on June 25 at 5 p.m. Featured will be Anne Watts and the internationally renowned eight-piece band Boister, described by Tom Hall of WYPR and the Baltimore Choral Arts Society as “a band with an international profile that defies categories…performances that are intriguing and packed full of unexpected delights…Beautiful…haunting, ethereal, compelling.” The band’s film scores have been hailed by critics and Anne Watts was named “Best Pop Composer” by Baltimore’s City Paper in 2014. 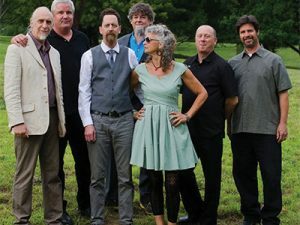 Band members are Anne Watts, from Cambridge, and J. Warren Boes, Craig Considine, John Dierker, Jim Hannah, Lyle Kissack, Chas Marsh and Glenn Workman. Instrumentation includes guitar, trombone, bass clarinet, hand percussion, drums, bass, piano/keyboard, accordion plus vocals. Opening for Anne Watts and Boister will be the acclaimed Lena Seikaly Trio, frequent performers at the Monty Alexander Jazz Festival; also featured with Ramzi Aburedwan and Dal’ouna Ensemble from Palestine. Lena Seikaly is a fresh voice on the national jazz scene from Washington, D.C. She is already making her mark as both a revivalist of traditional jazz vocals, as well as an innovator in contemporary vocal jazz styles. The St. Michaels Auditorium is located at 200 Seymour Avenue at the St. Michaels Middle and High School. Tickets are $10-25 (general admission, sliding scale: pay-what-you-can) and are available for purchase at the door. The show is free for children and students ages 18 and under. 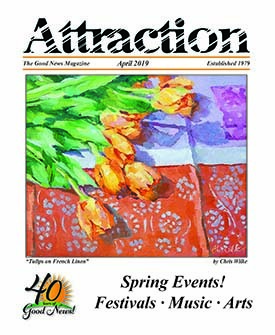 This concert is presented with support from the Talbot County Arts Council with funds from the Maryland State Arts Council, the Mid-Shore Community Foundation, Artistic Insights Fund, Dock Street Foundation and Carpe Diem Arts individual contributors.